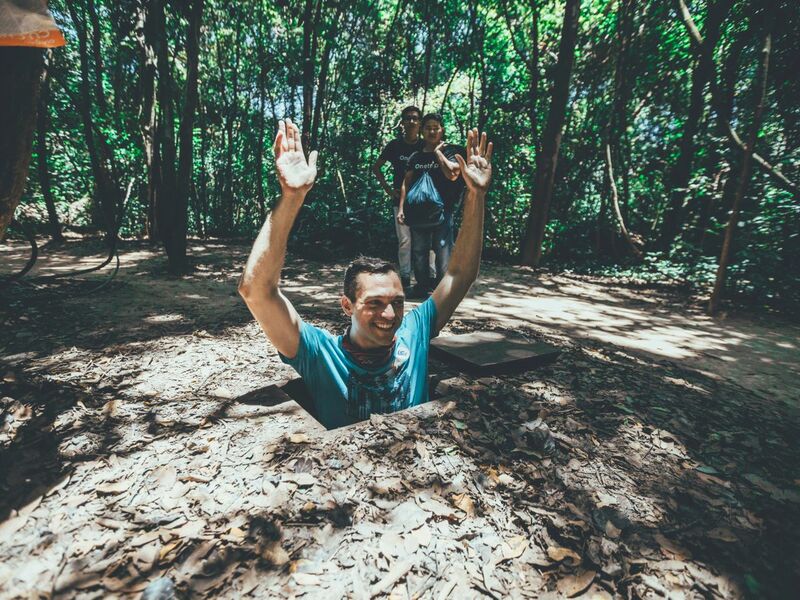 Visiting the Cu Chi Tunnels, an incredible network of connecting underground tunnels that played an integral role during the Vietnam (American) War and head outside the city center to see the authentic local life while freshening up on the history of the war and experience what it’s like living inside the complex tunnel system. We will head out of the city zig zagging through Saigon’s crazy traffic into a local suburb for a quick Vietnamese coffee and breakfast. Then, we head toward the direction of the Cu Chi Tunnels, stopping by local businesses along the way to learn about the local crafts and industries, such as rice noodle production and natural rubber extraction. You will have the opportunity to crawl inside the tunnels... just watch out for the bats! Time to have lunch! You'll appreciate a big traditional Vietnamese meal with a large spread of local dishes. After lunch, a quick siesta will be in order before heading back to the city. We will arrive back at your accommodation. Don't forget to give our guides a hug and keep in touch. It'll likely be an experience to remember, and a new friend made. Motorcycle option is recommended for the best way to experience the Vietnamese culture. For those with back problems or family with elderly or young children, then we recommend the private car option.